This is, of course, a mess. I am not the neatest person in the world, and actually enjoy a little clutter. However there is a huge difference between that and a debilitating mess that gets in my way. 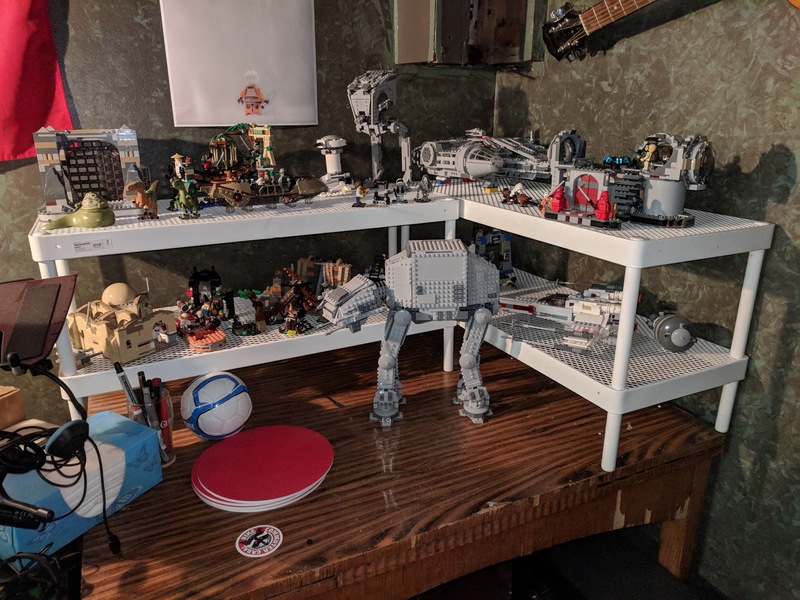 Also, not pictured, is the many LEGO models on my workbench and shooting desk that don't have room on my storage desk. 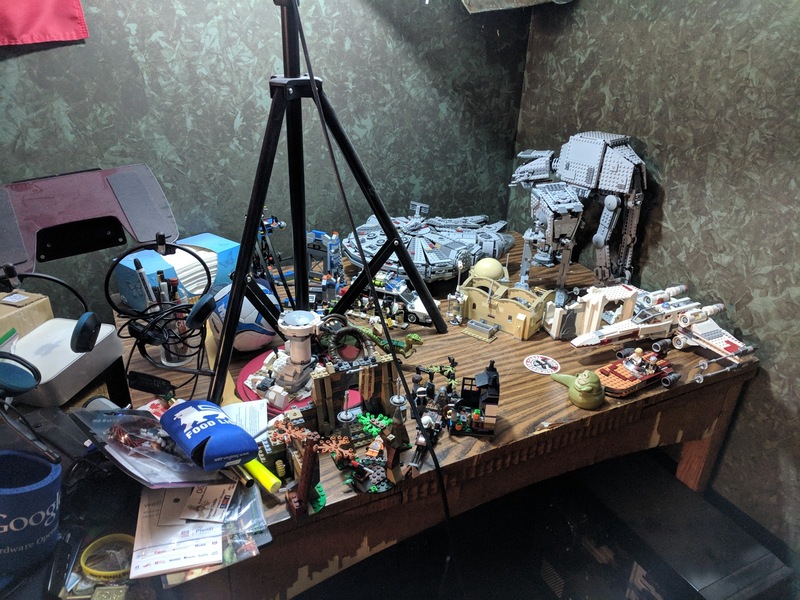 Now I have space for all my models, and some more side... even better, my other desks are freed up from being storage to being useful for creating more art.